Our event planning team uses PED to learn more about event strategy, network, and get to know one another. 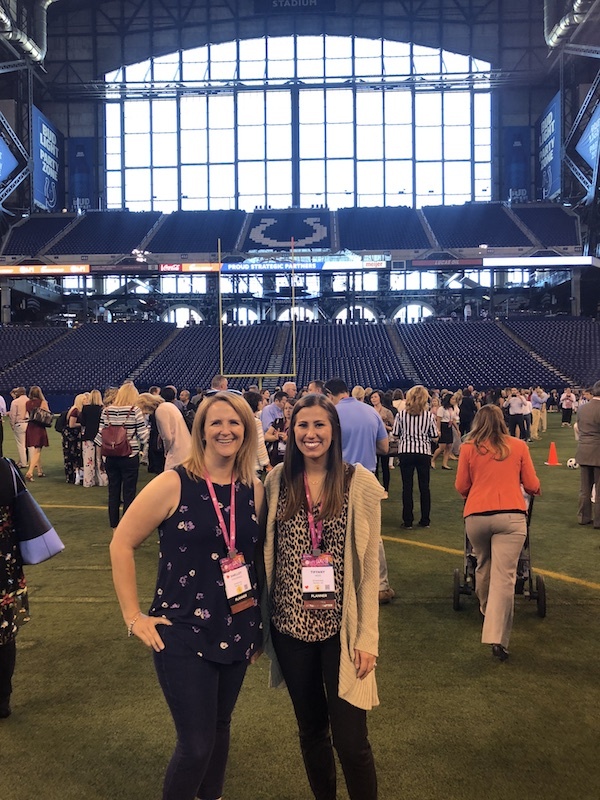 In early June, Tiffany Hess, our new Marketing & Events Strategist, and Shelley Fitzgerald, our Event Operations Strategist, both used their Simpleview Personal Education Development benefit (PED) to attend the Meeting Planners International World Education Conference in Indianapolis, Indiana (WEC18). Not only did the four-day experience give them the opportunity to travel, absorb inspiration, network, and learn more about meeting and event planning that they could bring back and apply to their respective jobs, it also gave the two new co-workers the chance to get to know one another. Tiffany is new to the marketing department and this was her first PED opportunity, while Shelley is a marketing veteran enjoying her fourth PED benefit. 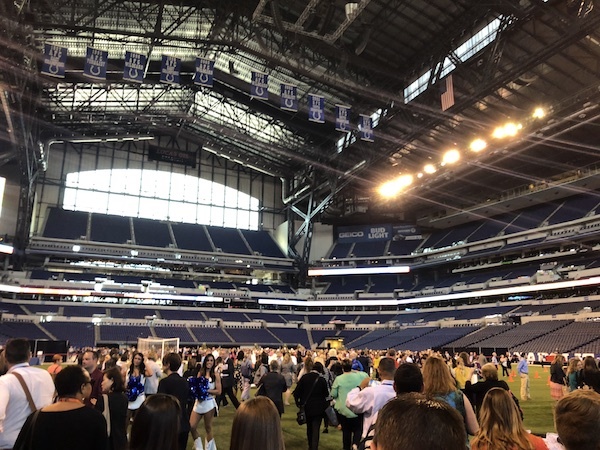 “Visit Indy really embraced the conference. The whole city welcomed us,” she added. There was a welcome lounge at the airport. All of downtown Indianapolis was branded in some way, shape, or form for the conference, with banners and MPI representatives all around. 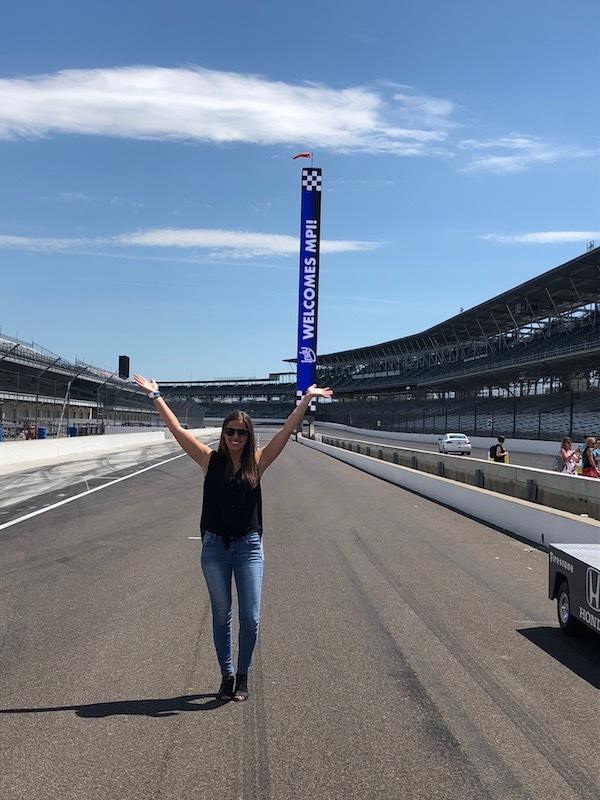 There was a block party, police escorts to a motor speedway adventure, and lunch on the 50-yard line inside Lucas Oil Stadium, home of the Indianapolis Colts. The opening night party at White River State Park featured a concert by a local a capella group, plus food and flowered headband crafting. This “conference” was not just held in a convention center. 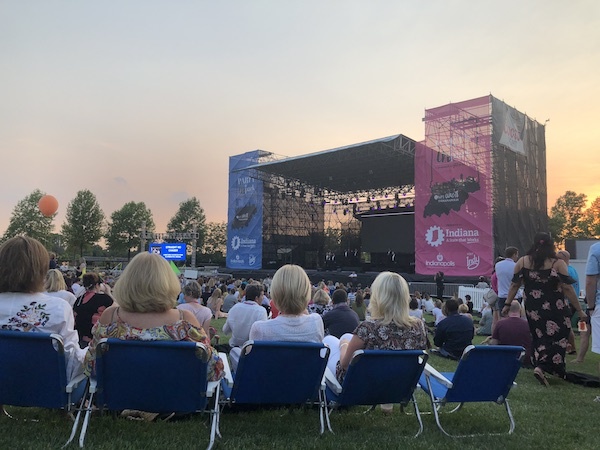 It was full of experiences that encouraged connection, networking, education, and community, with participation from the city and surrounding organizations. “It was a testament to the great event that we had lots of pictures of fun activities!” said Shelley. The “full experience” feeling extended beyond the events and activities around the learning sessions to the sessions and keynotes themselves. Sessions weren’t held in a meeting room, they were presented in pods on the exhibit room floor in a much more open space. “It was very interesting and different,” commented Shelley. Each day had a theme—Inspiration, Ideation, and Activation—with keynotes and sessions based around these ideas. Our veteran PED participant, Shelley, was most inspired by a session on General Sessions. She felt she gained a lot of knowledge about how to make general sessions—like our annual Summit, which Shelley has helped coordinate for years—interesting and impactful. She learned about how to get the Summit’s message across the correct way, the importance of listening to surveys, and how NOT to be boring or spend a lot of money on speakers attendees won’t be interested in, she shared. 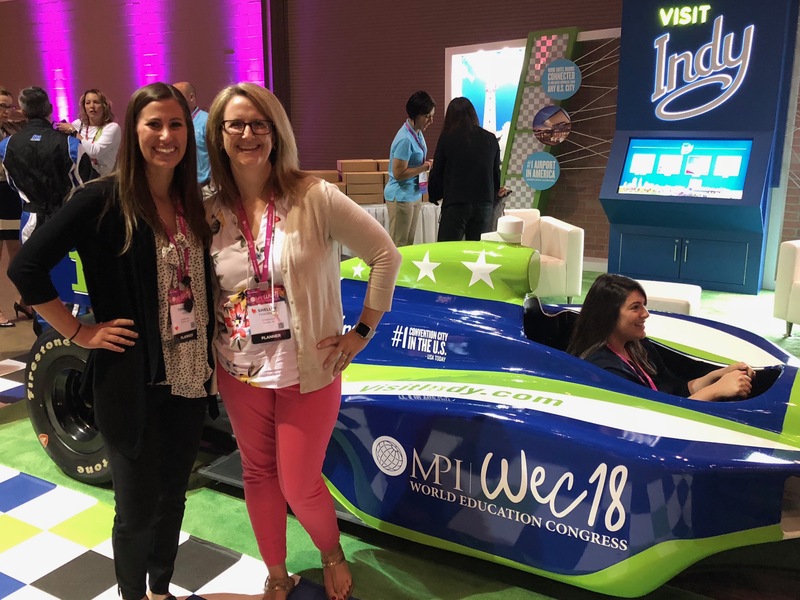 Clearly these points were demonstrated at WEC18, which, for Shelley and Tiffany, delivered memorable experiences, networking opportunities, and useful speaker sessions. This is another advantage of conference attendance through the PED benefit. 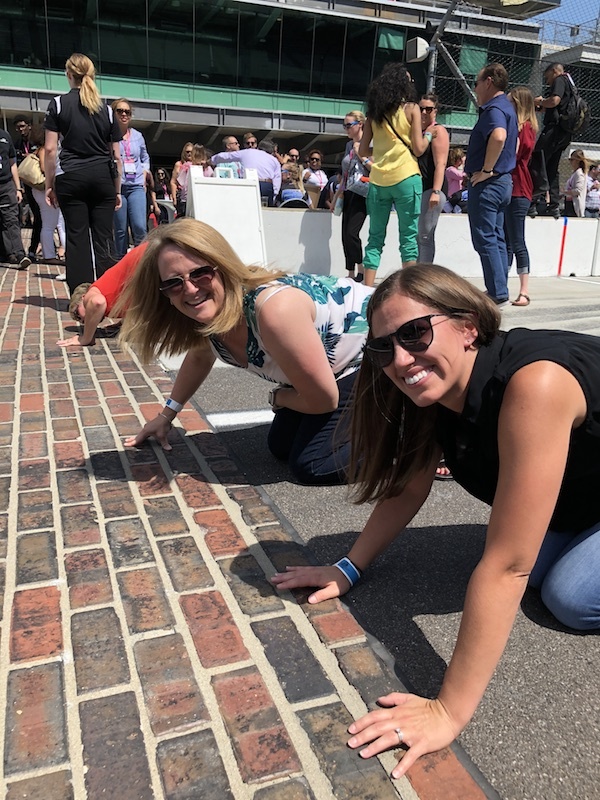 Our employees don’t just get inspired, they bring takeaways and lessons back to the office that can improve employee and client experience, and action items that can improve their careers. Shelley said she and Tiffany tried to be strategic about which sessions they attended based on job role. Some sessions they attended together so they could discuss how they could apply what they’d learned, while others they attended separately. This is a great way to get the most out of a conference when sending more than one attendee. We see DMO teams do this all the time at Summit, splitting up who gets information where and sharing feedback after the Summit. Considering it was Tiffany’s first week on our marketing team (she’d previously worked in our Sales Department), she also felt traveling with Shelley for PED was a good way to get to know one of her co-workers. Shelley found traveling with a coworker made it even easier to network and bounce ideas off of one another, while coming back with even more information. “It was good to network at the conference, as well,” Shelley added. 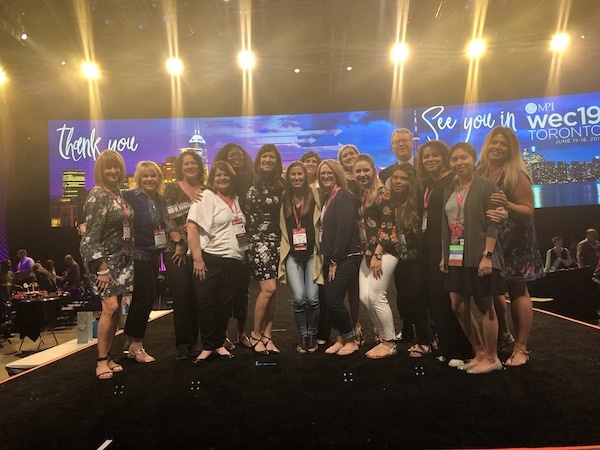 This was her second year attending this particular conference, and she felt she was able to really connect, whether with international attendees from Italy or the Arizona Chapter of MPI from Phoenix at lunchtime. Tiffany also felt it was a great opportunity to create relationships and contacts. Both were grateful for this opportunity, which could have only come about by using their yearly PED benefit. “To be able to take PED, to have it tie to your job … we’re more knowledgeable. It helps us do our job better, opens our eyes to new ideas and experiences, and sometimes new travel,” said Tiffany. All of these advantages not only benefit the marketing team and the departments they work with here at Simpleview, but also our clients, who continue to be supported by experts in the industry who are up-to-speed on the latest trends and potential innovations, and have studied information in the industry through PED experiences like these.